The 2018 Honda Odyssey is pretty much the best minivan out there. It has been receiving a lot of admiration from the public at large and continues to impress. The updated and easy to use features of the 2018 model place this minivan at the top of its class. Forward visibility is superb and lends to a safer drive. Handling is brilliant and the seating, well this is a Honda, so there is absolutely never a question of enhanced comfortability. Honda has created a perfectly balanced vehicle that is really perfect for all suburban driving conditions. Castle Honda is an extremely proud stockist of this sweet family ride. 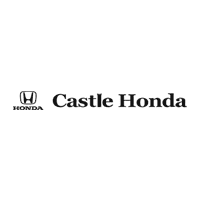 We carry the name, we carry the badge and we have a strong inventory ready for your collection right here at Castle Honda. This is who we are. This is what we do. This is why we are the best place for all of your 2018 Honda Odyssey queries and purchases. Lots of attention to detail has gone into the drivetrain which makes the 2018 Honda Odyssey one of the best minivans to drive around in 2018. Actually, make that the best. There are also two brand new automatic transmissions systems to choose from. A 9 speed and also a 10 speed. Honda as created the perfect balance between spacious family size and smoothly innate driving capabilities. The 2018 Honda Odyssey fares way better than any of its rivals in many aspects and the minivan’s brilliant acceleration is definitely only one of them. The strong acceleration capacity launches the brand new Honda Odyssey from 0 – 60 miles per hour a second faster than any of its direct competitors in this minivan class. Honda has updated their older model’s engine with a brand new and respectably more powerful engine than 2017. A stronger power output of the 2018 Honda Odyssey makes a massive difference and can be felt at pretty much anytime you call upon it during a ride. Cruise control that adapts to your driving conditions also adds to the safety features of the minivan. The 2018 Honda Odyssey comes with the readily available potential to be one of the most spacious minivans on the current market. Functional, spacious, brilliant – That’s the latest 2018 Honda Odyssey.